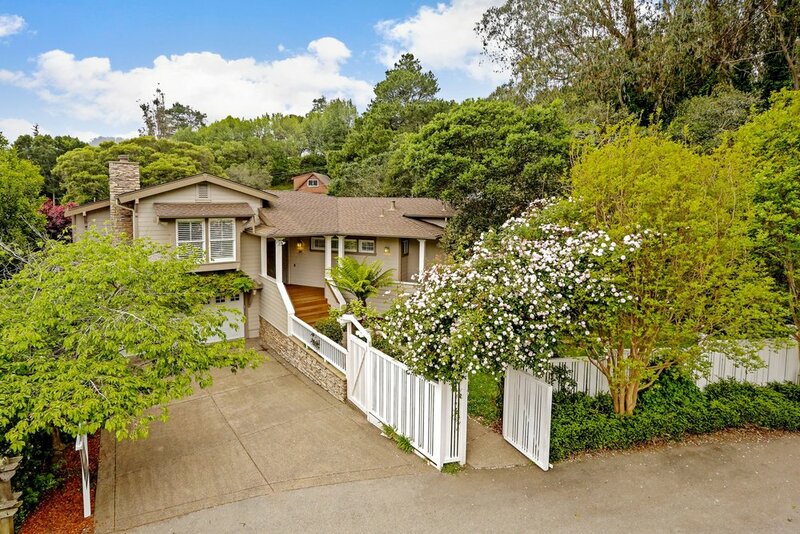 The last house on a quiet cul-de-sac in a super family-friendly neighborhood, 517 Sunnybrook is a gorgeous, stylish home in a sunny Mill Valley location. 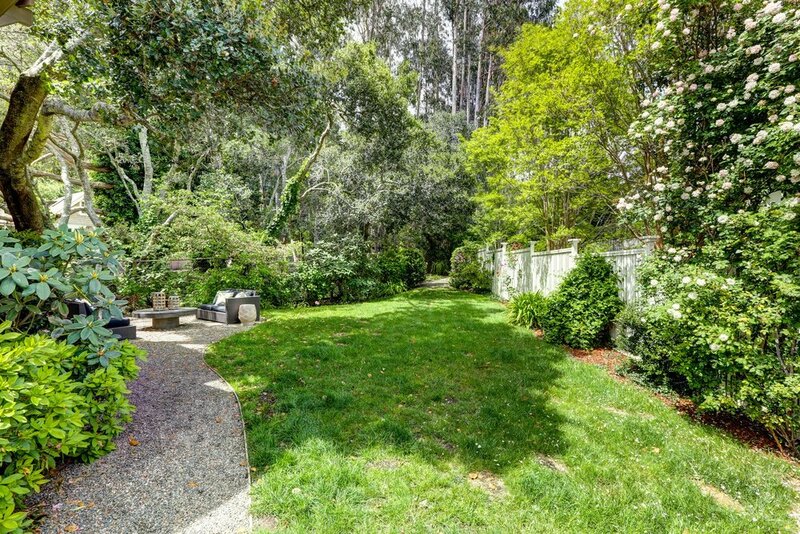 The 2,100 sq ft (tax records) home features 4 bedrooms and 2 1/2bathrooms on a 7,067 square foot lot with easy access to the long awaited, brand new Good Earth Market, Muir and Stinson Beach and the world-class hiking and biking trails of Mt. Tamalpais. 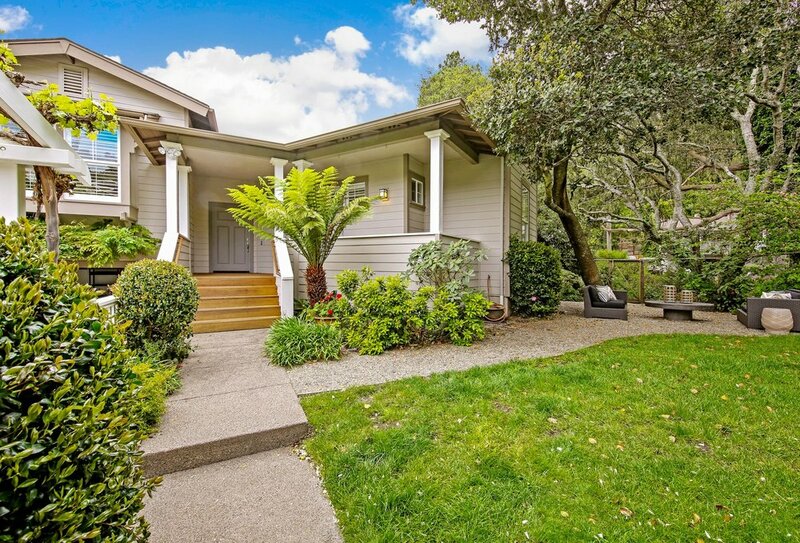 Walking through the front gate of 517 Sunnybrook, you are greeted by an archway of blossoming rose bushes, mature trees and a large, private front yard for enjoying family barbecues, throwing the ball or quietly reading under the trees. Up a few steps and through the front door, you are welcomed by a bright foyer connecting the upper level, lower level and spacious master bedroom suite. 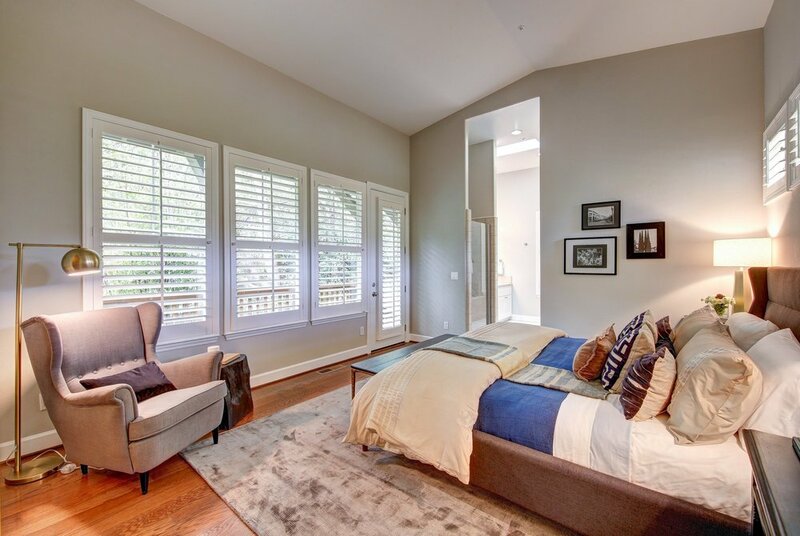 The large master suite features vaulted ceilings, beautiful plantation shuttered windows, a walk-in closet, a beautiful master bath with walk-in shower, double vanity and over sized Jacuzzi tub, and its own private deck to soak in the sun. On the main floor is a huge open living room and dining room with built-in bench seating, rich wood floors, and a gas-burning fireplace. 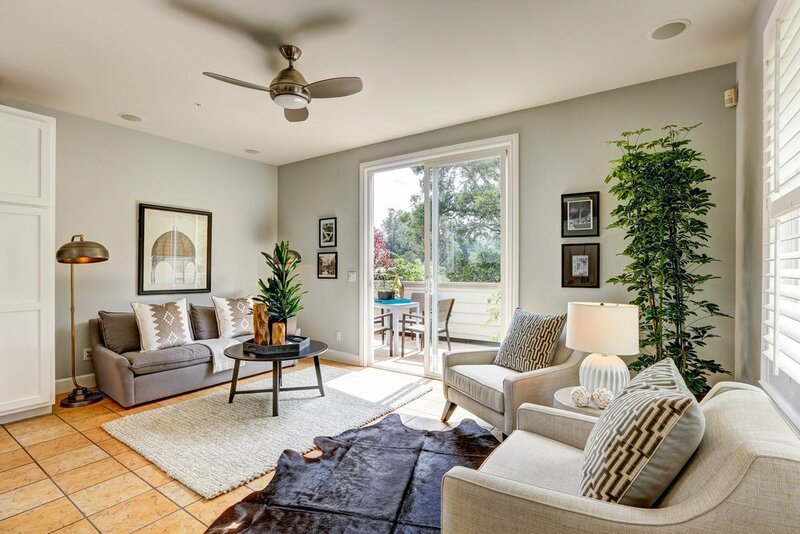 This is the heart of the home and it provides a bright, open space to comfortably host family and friends for all your gatherings to come. 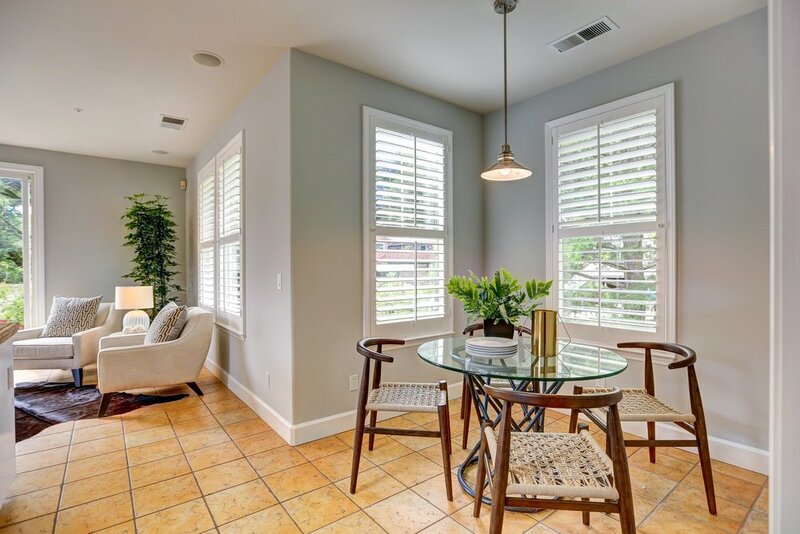 Beyond the dining room, is a large open kitchen with stainless steel appliances, a large island, a cozy breakfast nook, and a casual family room that leads to the sun-drenched back deck that comfortably seats four. 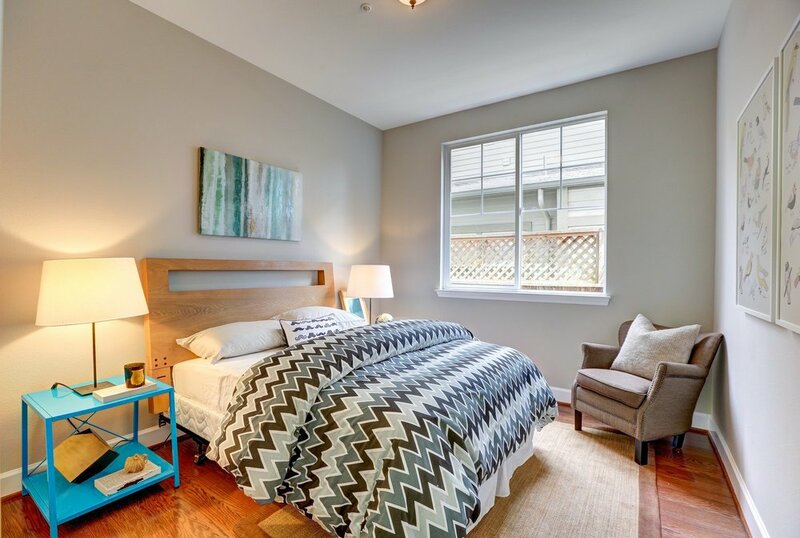 Downstairs is a perfectly located large laundry closet with shelves just steps from the bedrooms and the large 2 car garage with ample storage space. 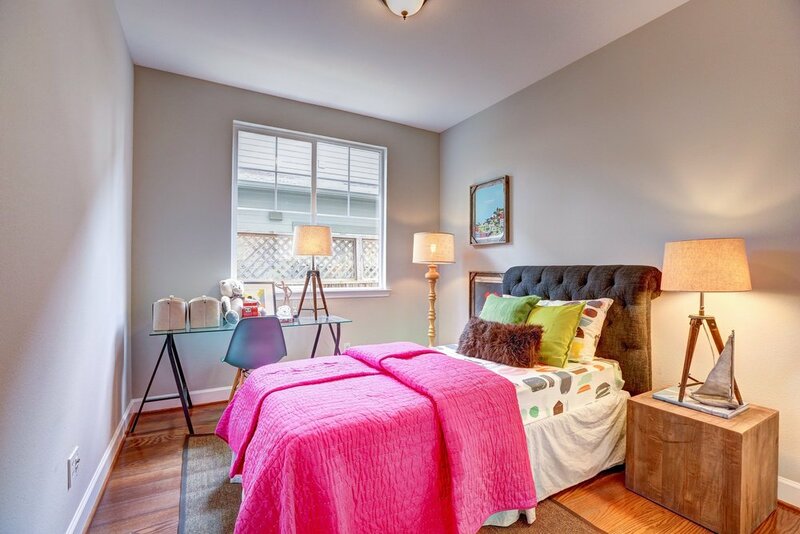 The lower hallway connects three bright bedrooms, a full guest bathroom and access to the back yard. 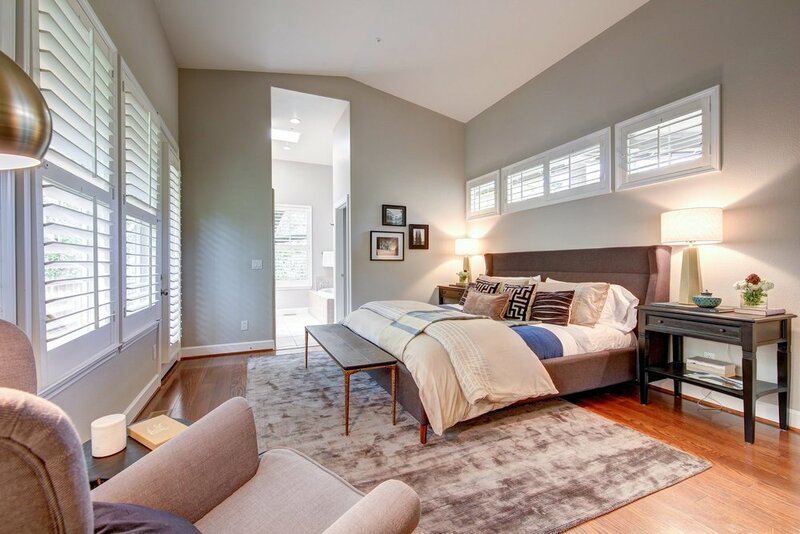 Two of the bedrooms are ideal for children or teens and the third, larger room at the end of the hallway provides space for guests with sliding glass doors that lead to the second outdoor entertaining area. 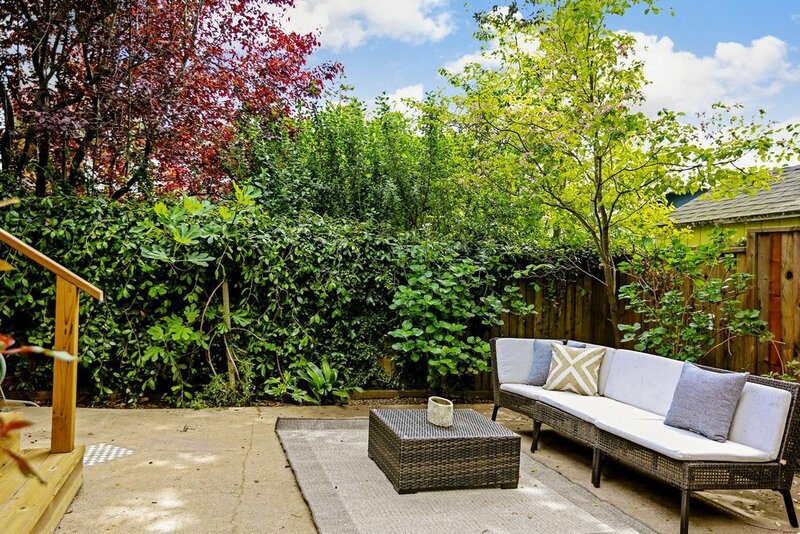 The side of the yard features a large garden bed for growing your own vegetables and fresh herbs that receive ample sunlight throughout the day. This is an incredible location. The neighborhood is extremely friendly and all of the local kids play together in the cul-de-sac. 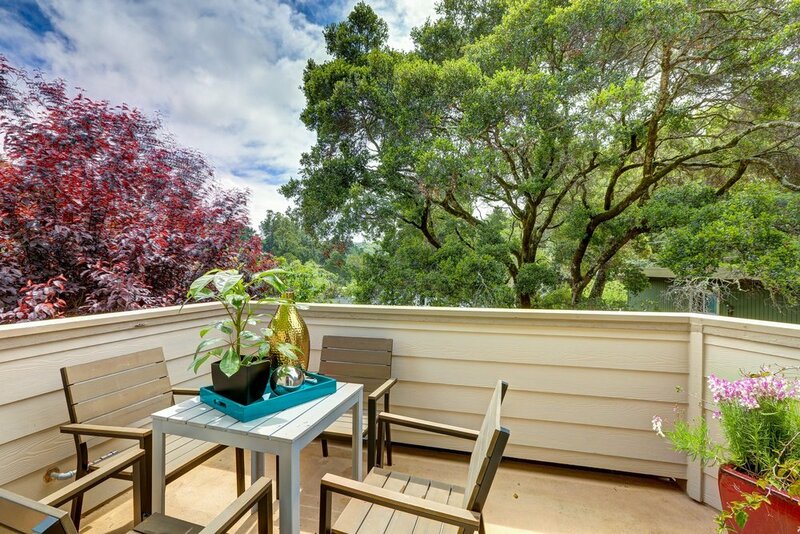 It is only a short, stunning drive to Muir Beach and the incredible coastal Highway 1 to Stinson Beach and beyond or up Panoramic to all that Mount Tamalpais has to offer. Also only a short distance away are amazing mountain biking and hiking trails including Diaz Ridge, Miwok Trail, and the Coastal Trail that are on par with some of the best trails anywhere. Just down the street is the brand new Good Earth Market, uber cool Proof Lab surf shop, Equator Coffee and around the corner is the vibrant downtown Mill Valley with such awesome things as the Sweetwater Music Hall. All this and one gets award-winning school and you are only a super short commute to the vibrant economic hub of San Francisco.